One vegetarian hurdle I hadn’t jumped over until recently was the humble BBQ. Well, that’s not strictly true — I went to a South African braai when I was in Dubai (and was very well catered for, thank you, Tiff!) But the Let’s eat outside and pray it doesn’t rain event that happens every summer in Britain? Nope. I’ve always enjoyed a good British BBQ, despite the often-questionable weather, but what do you do when your go-to was once beef burgers and a couple of chipolatas from the butcher? Although I enjoy eating the odd meat replacement, I wanted to cook up something a little more creative. So when Vita Coco offered to send me some recipes (and some coconut oil for cooking), I jumped at the chance to try something new. 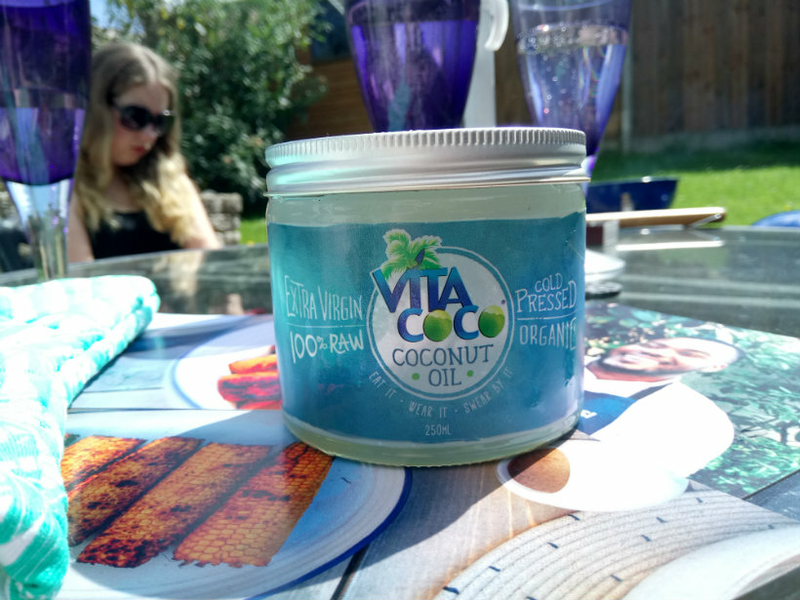 I was addicted to their coconut water when I was a student and I often use the oil (it works particularly well in curries and banana oat pancakes). Now, hands up who remembers Selasi from Bake Off? I definitely do — he was an absolute sweetheart — and it turns out he’s the brains behind some of the recipes I tried. (I hope he’s still going on roadtrips to see Val #iconic.) I had most of the seasonings in my cupboard already, so I invited a couple of friends over and picked up the remaining ingredients I needed. Place the mushrooms in a large bowl and add the rest of the ingredients. Mix thoroughly and leave to marinade overnight. I served each mushroom in a bun with roasted red peppers, salad leaves and sweet chilli sauce, then left other condiments out on the table so people could add what they wanted. I think I got a bit carried away with the lime, so it’s lucky everyone liked it! I know many vegans and vegetarians are sick to death of seeing mushrooms on the menu but I’m quite partial to a mushroom burger if it’s been well thought through, and this marinade is a lovely mix of summery flavours. Place all the ingredients in a large bowl and marinade the squash and onions well. 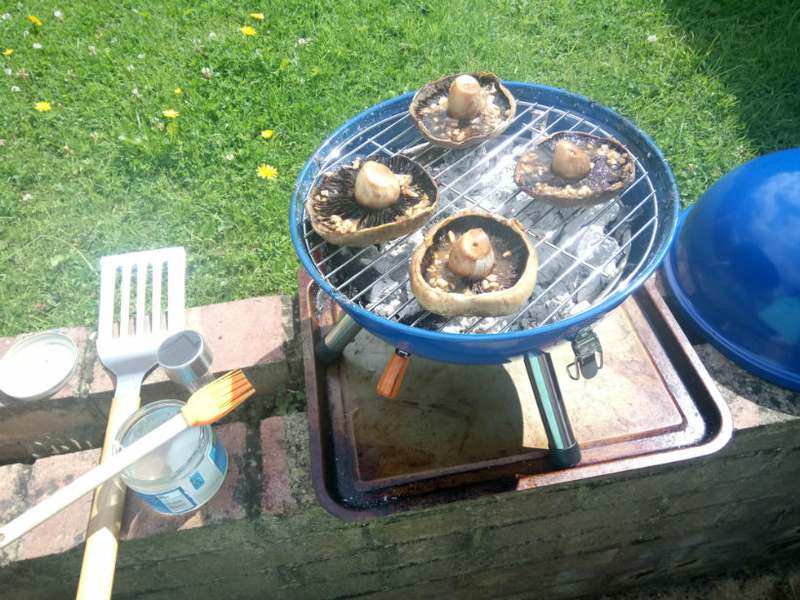 When your BBQ is hot enough, place the seasoned squash and onions on the hot plate side of your grill. 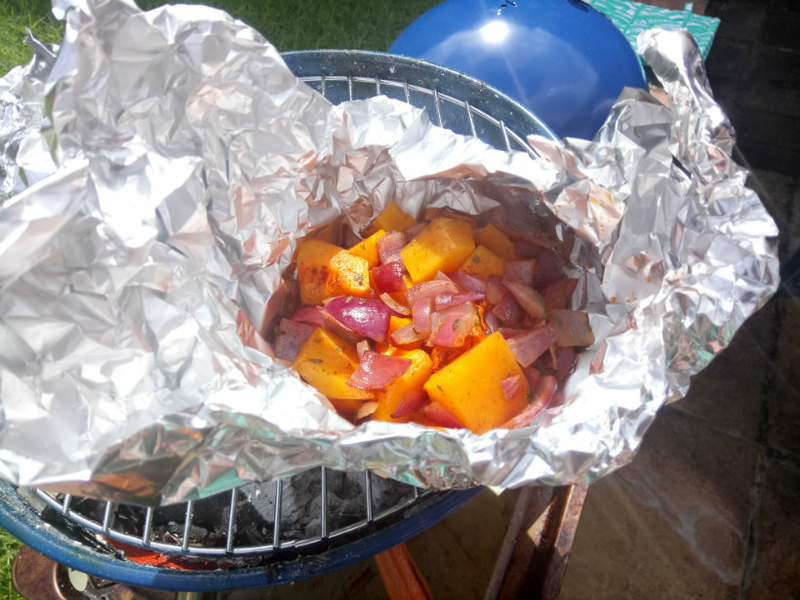 Alternatively, place the marinaded vegetables in foil so you can cook them over the grill. Your squash and onions are ready when soft to the touch. I swear everything tastes better when it’s been on the BBQ! My brother in particular really enjoyed this dish — I had no idea he liked onions so much. I also marinaded some corn on the cob with coconut oil, lime juice, and paprika, and ended up enjoying it so much that I forgot to photograph it. Coconut oil, lime juice, and spices seem to be a winning combination. Dessert was vegan banana bread (I had some overripe bananas to use up) with dark chocolate drizzled over the top. 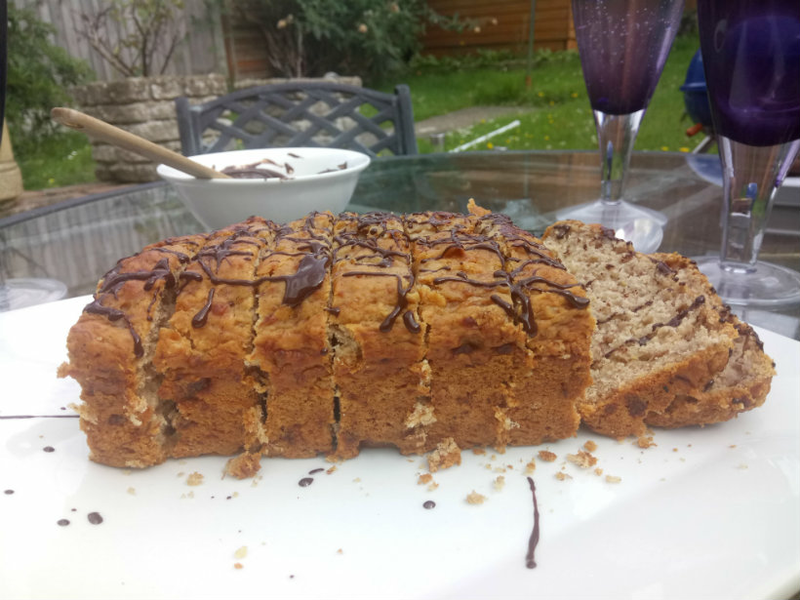 The recipe is from Jack Monroe’s book, A Girl Called Jack and you need the bananas to be quite mushy, so it’s a simple way to prevent food waste. It disappeared in a matter of days and tastes exactly the same as regular cake; this is a good one for a family gathering if you don’t want anyone to make comments about ‘what you weird people eat’ (I’m speaking from experience). What are your favourite vegan and veggie BBQ foods? How have you dealt with going to BBQs where most people are eating meat? Let me know in the comments! Coconut oil sent c/o Vita Coco. Recipes by Selasi. As always, all words and opinions are my own.